Type 2 diabetes affects over a fifth of the world’s population. It is a serious condition that cripples the body’s ability to process glucose, its primary energy source. When left untreated, it can result in life-threatening complications. 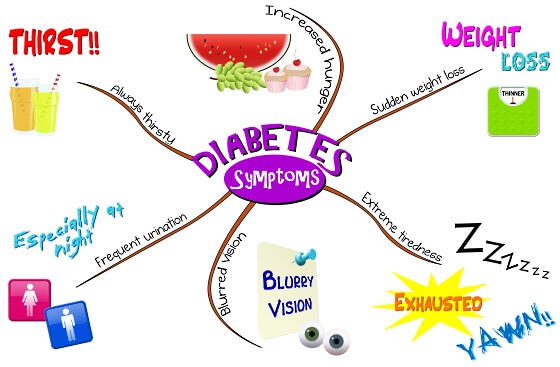 Type 2 diabetes symptoms are easy to miss, especially in the early stages. Everyone, irrespective of how healthy they are, should know its symptoms. The problem is easily detected and treated, but many people suffering from it are unaware of their condition. This is unfortunate because with timely detection and proper treatment, serious complications can be avoided. Diabetes Care, a monthly online magazine published by the American Diabetes Association, reported the results of a study on the global incidence of diabetes in people over the age of 20. It estimates that in 1995, 4% of the world’s adult population had the disease. By 2025, that number could rise to 5.4%. The incidence of diabetes is also higher in developed countries. According to Health.com, more than 90% of the 24 million diabetes cases detected in the US in 2003 were type 2. A study published in the journal of the American Medical Association concludes the chances of developing the disease increases with age, and a large percentage of the population will eventually develop the condition. The lifetime risk of developing diabetes for people born in the US in 2000 is estimated to be 32.8% for males and 38.5% for females. There are several risk factors like age, ethnicity, family history, and weight, which increase a person’s chances of developing type 2 diabetes. It is now a well-known fact that obesity and lack of exercise are the chief lifestyle related factors that put young people at risk. However, having the ideal BMI or a physically active lifestyle is no guarantee against the condition. In 1997, five time Olympic gold medalist and world rowing champion Sir Steve Redgrave discovered he had type 2 diabetes. He was just 35 and other than a family history of the condition, he had no other risk factors. He recognized the symptoms, and this helped in timely detection and treatment. In 2000, he won his fifth consecutive Olympic gold at Sydney. As high blood sugar is not the norm, the body gets rid of excess glucose through urine. Diabetics may get up several times at night to urinate. Increased urination requires more water, and this is obtained by drawing water from the tissues. As a result, the person often experiences severe thirst and dehydration. The body of a person with type 2 diabetes faces frequent shortages of energy. This can be due to low blood glucose levels or the inability of the body to move glucose into the cells due to a lack of insulin. This results in increased hunger. Due to its inability to metabolize glucose properly, the body turns to other energy sources like fat stores and muscles. Despite eating frequently and without any extra physical activity, many diabetics experience unexplained weight loss. Due to insufficient energy, people with diabetes frequently feel fatigued. They may also become irritable and have other problems like the inability to concentrate. Due to hyperglycemia, fluid is drawn out from the lens of the eyes, which impairs a diabetic’s ability to focus. Blurred vision is the result. With type 2 diabetes, the body’s ability to defend against or fight infections is reduced. As a result, it takes much longer to heal cuts and wounds. Diabetes also makes people more prone to fungal infections, especially in the genital areas. Problems like thrush can keep recurring. Another symptom of type 2 diabetes is the formation of dark patches in areas like the neck and armpits. This is often a sign of insulin resistance. Although there are many symptoms of type 2 diabetes, they are usually inconspicuous in the initial stages. The condition is mild at first, but gradually develops over time. This gradual progression makes symptoms less noticeable as people slowly get used to them over time and don’t realize anything is wrong. Many people discover they have type 2 diabetes after a routine blood or urine test. As the condition can often remain hidden, it is also important to periodically check for diabetes. The good news is, the problem is easy to detect and manage at any stage. Early detection makes treatment easier and prevents other complications. 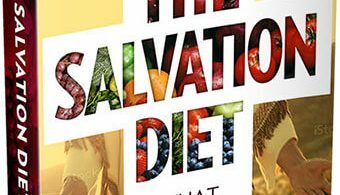 If you’re currently in the prediabetic stage or if your condition is mild to moderate, simple lifestyle and dietary changes like those outlined in Diabetes Destroyer and the Defeating Diabetes Kit may be sufficient to control and even reverse it. Can You Improve Eyesight Without Surgery? Fat Diminisher Review – Can Wesley Virgin’s Fat Diminishing System Rid Your Body Of Unsightly Flab For Good?